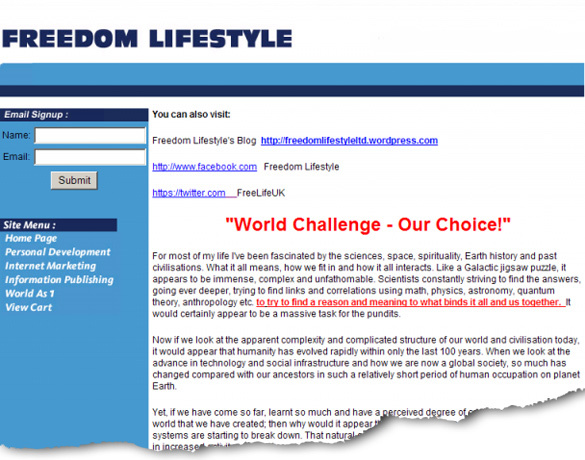 The newly designed Freedom Lifestyle site and then optimised all the site pages for their chosen search terms. They were interested in gaining increased visibility in the search engines for their website. The site is in quite a competitive sector of the internet, so as well as working on the on page factors, a certain amount of time needs to be spent on 'off page' factors. During the optimization of the site we concentrated on the content and on page factors of the site and improved the density of the search terms on the website. The site also needed a few more backward links set up for it, so we sourced these for the client, over the period of a few months.